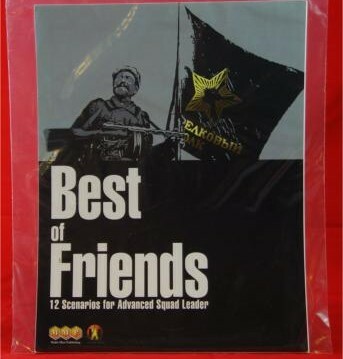 Best of Friends (BoF) is a reprint scenario pack, collecting and reprinting a dozen popular scenarios from the third party Friendly Fire series of scenario packs (MMP previously did something similar with scenarios from the newsletter Dispatches from the Bunker). As fans of this Web site know, Desperation Morale considers the 7 published (as of this writing) Friendly Fire packs to be among the very best scenario packs published for ASL, and thus are “must haves.” BoF offers ASLers an easy way to test out the waters of these scenarios and see if they are to their liking. Most ASLers will be quite happy. 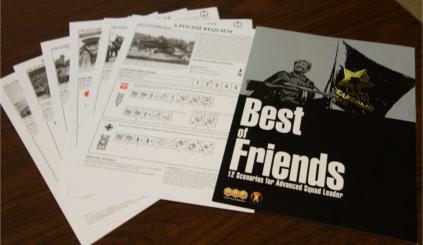 Friendly Fire began as a scenario pack series released in conjunction with an annual Swedish ASL tournament but has grown to be a truly international endeavor, encompassing the designing, playtesting, and proofreading efforts of at least three continents of ASLers. The scenarios are varied rather than thematic in nature, and tend towards small to medium sized tournament-playable scenario, with the occasional large scenario thrown in for good measure. Friendly Fire scenarios offer exotic fare as well as the standard menu items for World War II tactical combat. All of the scenarios in BoF come from the first four Friendly Fire scenario packs (see chart below), which suggests that MMP might at some point in the future publish a second Best of Friends (or Second Best Friends) pack. 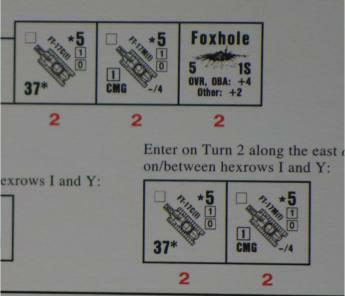 All 12 scenarios are tournament playable (i.e., readily playable in an afternoon or evening). One scenario uses OBA; no scenarios use Air Support or Night rules. 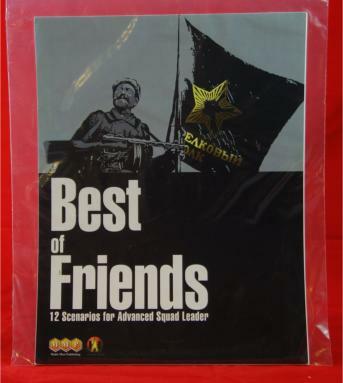 Whether or not they are really the “best” of the Friendly Fire scenarios from their first four packs is debatable, but this is only because Friendly Fire has produced so many good scenarios that many ASLers will notice one or another of their favorites left out of this pack. A couple of the ones in this pack–such as BoF5 (Adolf’s Amateurs)–are not as strong as their fellow scenarios, but none are bad. 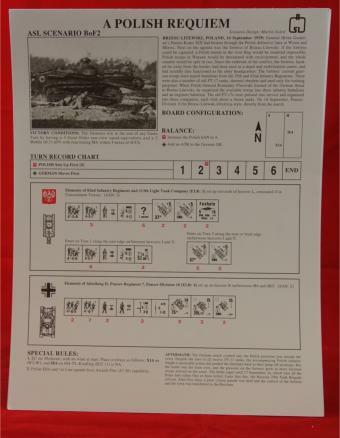 While it is almost unfair to single out any for mention, Desperation Morale has never had a shortage of opinions, and so particularly recommends BoF1 (The Marco Polo Bridge Incident), BoF3 (The Abbeville Bridgehead), and the ingenious BoF6 (Cavalry Brigade Model), which is definitely a future classic. This is one of those “you can’t go wrong with this” ASL products.